Does the 7 inch have any message etched in the runout groove? The 12 inch doesn't. If this and its 12" sibling were released yesterday, why is Discogs showing sales from months ago and very high prices ? 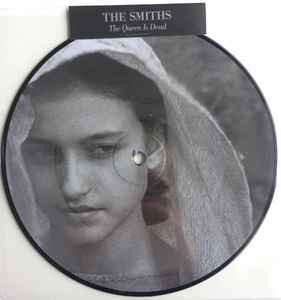 A track just over six minutes long on a 7" picture disc is never going to be a great sounding pressing. Looks good, though. Don't pay flipper prices as this seems to also be available in the US. Only $13 each from Bullmoose for both the 7 or 12"s.